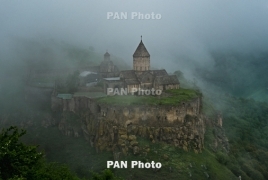 PanARMENIAN.Net - Armenia is among the travel destinations that will be on everyone’s lips come 2019, Luxury Travel Magazine says in a fresh article article about the five places you should visit. The tiny country in the southern Caucasus boasts one of the world’s oldest civilisations, was the earliest nation to adopt Christianity and produces world famous brandy which is reported to have been distilled there since the 12th century, according to the feature which consulted with Abercrombie & Kent’s Managing Director for Australia and Asia Pacific, Sujata Raman. “It’s an unspoiled destination full of breathtaking mountain landscapes and amazing religious monuments, from churches and monasteries to an unexpected Hellenic style temple,” Raman said. Raman also revealed in the course of the interview that Egypt, The Kimberley (Australia), Japan and Akagera National Park in Rwanda are also worth visiting in the coming year.